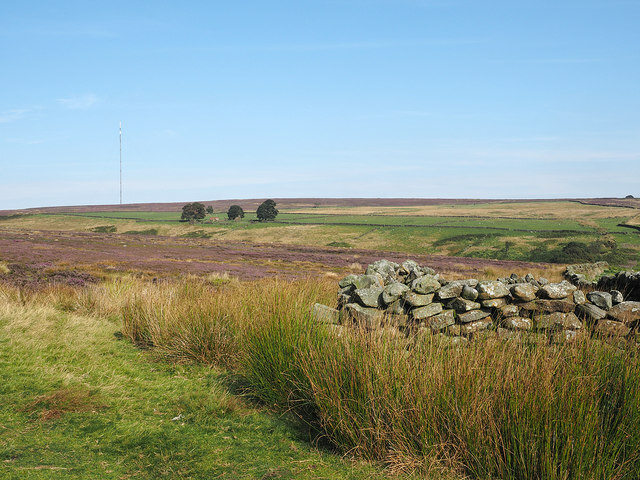 High Intake is an enclosed area of marginal farmland; the land seen here is moorland and appropriately is classified as open access land. The walling is part of a small sheepfold which is built against a wall of the High Intake enclosure. The enclosures in the distance surround the ruined buildings of Parci Gill which is also the name of the stream in the shallow valley in the image.